I'm a big fan of peel off masks- while they often don't do as much as those that sink into the skin, they do have their uses for skin texture and oil control, and they are so satisfying to peel off! The masks that I usually use are green, so I was really intrigued by these Avojo Black Peel Off Masks* which come in 10ml sachets and are £3 each or £10 for 5. Avojo is a new Danish brand, the masks have been sold since November in Denmark on madeformen.dk and have only just launched in the UK. These facemasks are designed to remove blackheads, dirt and oil from the T Zone, while leaving skin soft and revived. 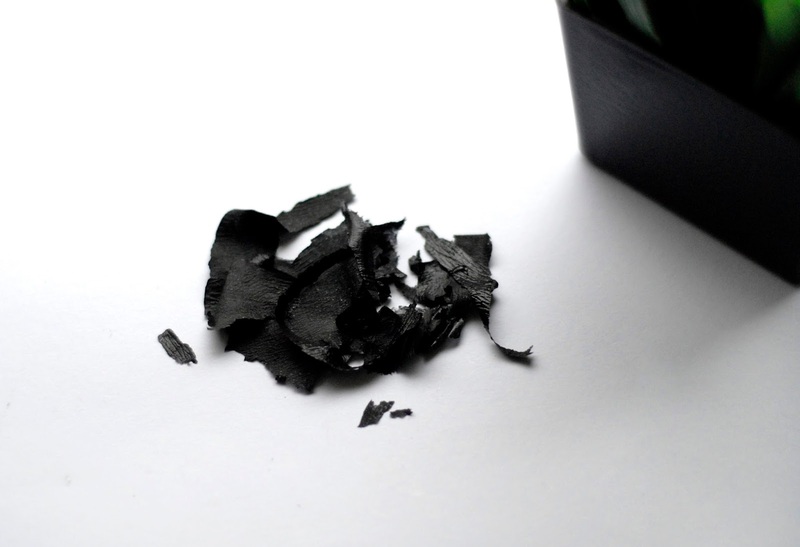 While these are interesting for being black, the most interesting of the ingredients list are Kaolin and Allantoin, which absorb excess oils and promote smoothness of the skin. The mask is applied in a thick layer to the T Zone and left for 25-30 minutes, before peeling off and rinsing the skin. 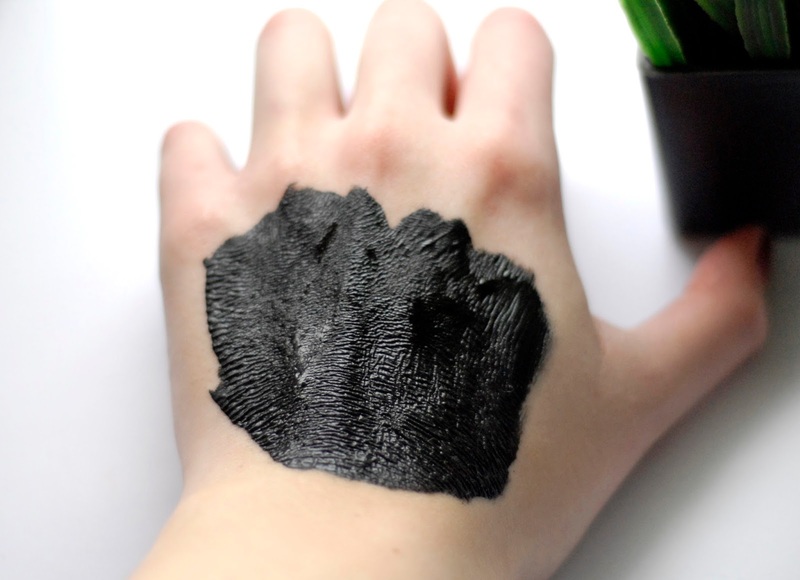 On application mask is thick and reminds me of very dark marmite, and it is possible to apply it too thickly and risk runs and drips. It has quite a strong scent, a nondescript skincare smell, and my eyes watered a little as I applied it to my cheeks, but that may have also been from the alcohol content of the mask. 10ml really is plenty for the T Zone- I've applied one sachet to my whole face and still had some left over so I think I would have preferred to see this product in a tube so that there isn't as much wastage. After drying it has a smooth rubbery texture and, while it does peel off, it does so in small pieces so it takes quite a while to pick everything from the face, and you need a mirror to make sure that you've taken all the pieces off. I would say this is much more a liquid extraction strip than a peel off mask- it removes debris and blackheads from the skin (especially well on the nose) but it does hurt. It isn't unbearable, but its a pain similar to fabric pore strips when they've dried and the removal made my eyes water a bit more than application, so I don't think these would be suitable for dry or sensitive skin. Spreading the mask thinly on the skin makes it easier to peel off in larger pieces and also creates less pain, but the results aren't’t as good as thick layer. All told, the masks do give results- while they didn't remove all my blackheads (I suffer from them frequently as my T Zone is so oily), what they did remove was visible on the peeled pieces and it was a lot more than I was expecting. 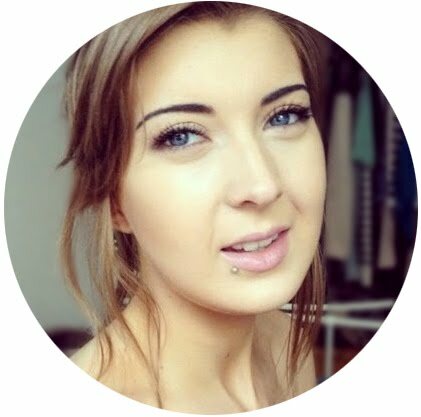 My skin also felt and looked smoother once the redness from the peeling had subsided. If you suffer from occasional blackheads then this may be all you need to keep them at bay! 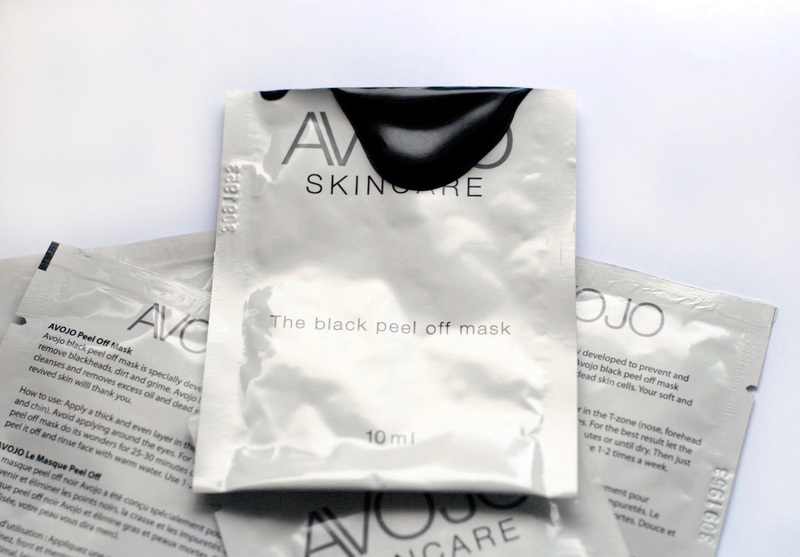 If you have oily skin and are looking for something new to give your skin a deep clean to remove blackheads and dirt then I would recommend giving the Avojo Black Peel Off Masks a try, as long as you’re not averse to a little pain! I've always had a love / hate with masks because you're right they are a little painful, especially these peel off ones. The color looks intriguing but I don't know about the fact that it contains so much alcohol to water the eyes. Thanks for the great review!